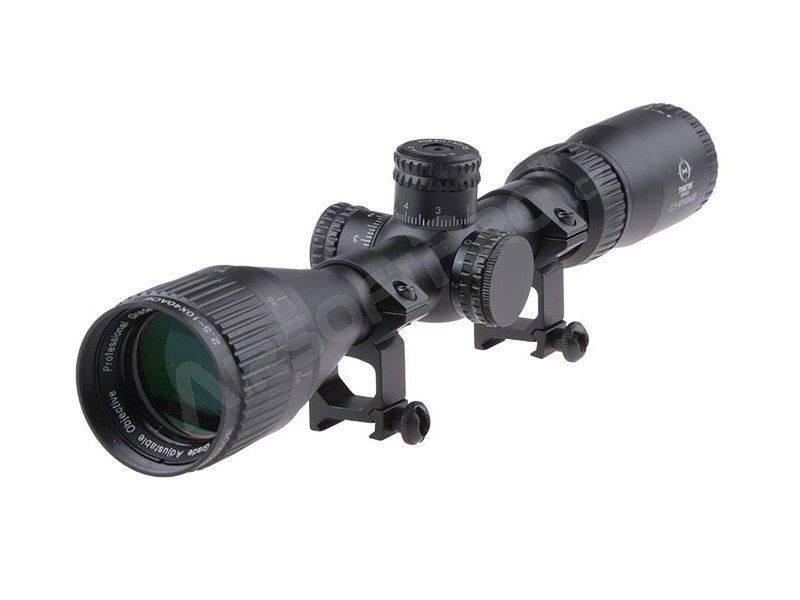 Theta Optics™ scope is a guarantee of high quality at a reasonable price. 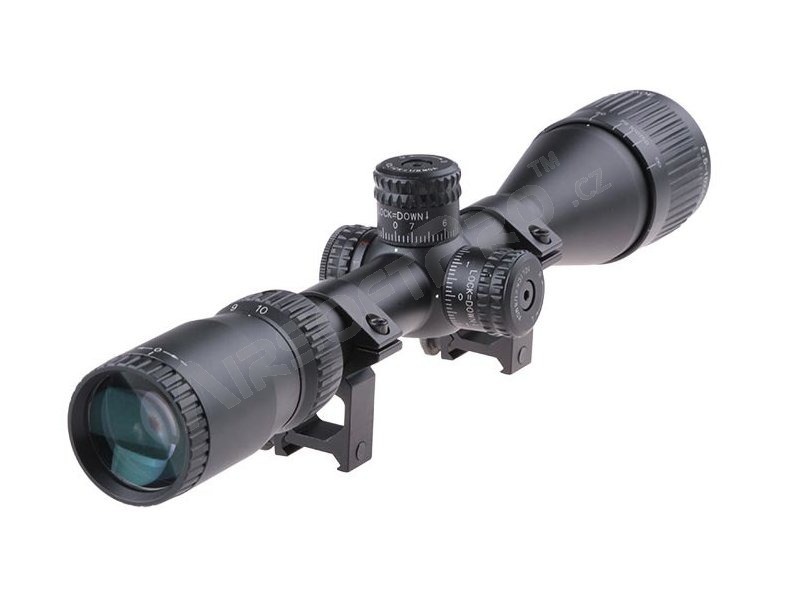 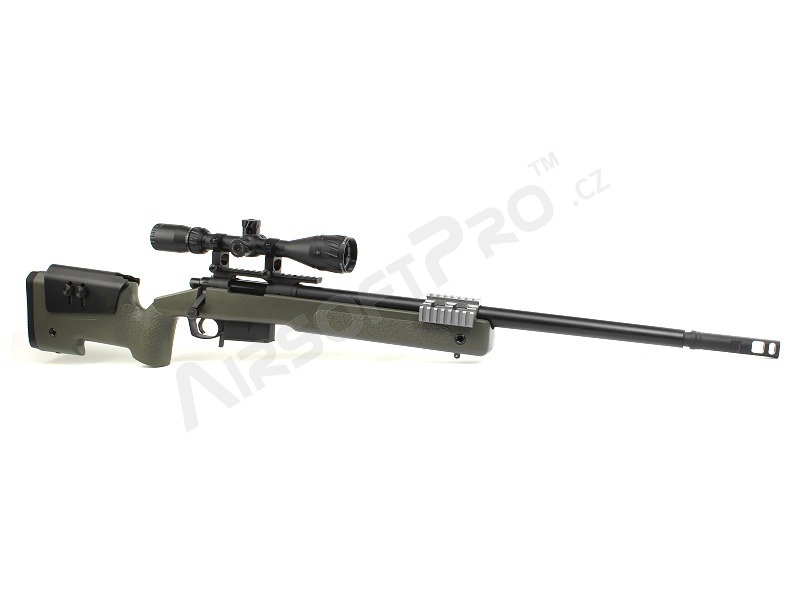 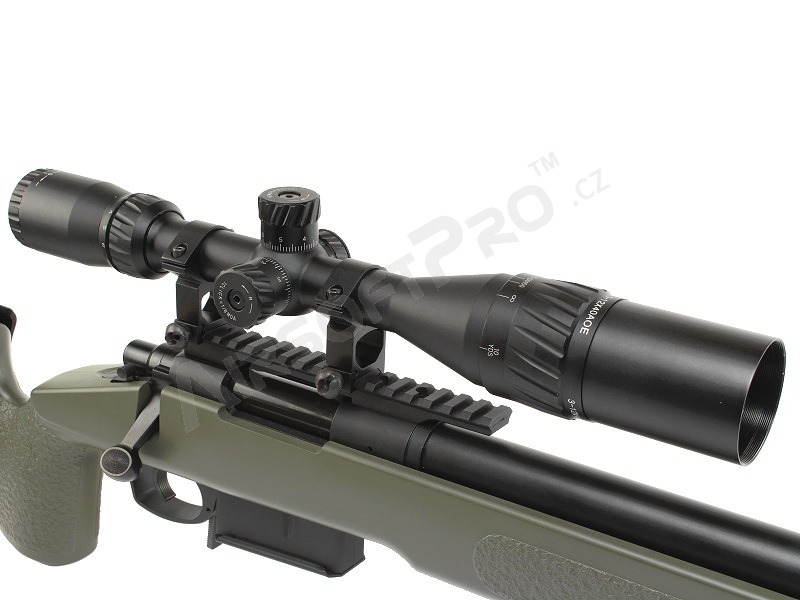 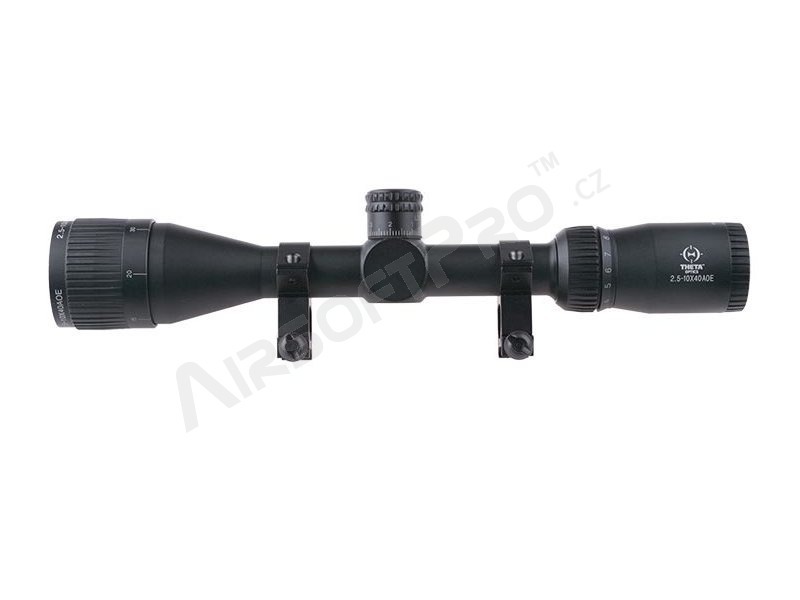 Enclosed in a durable, metal casing clear optics with a mil-dot type cross as we as adjustable zoom. 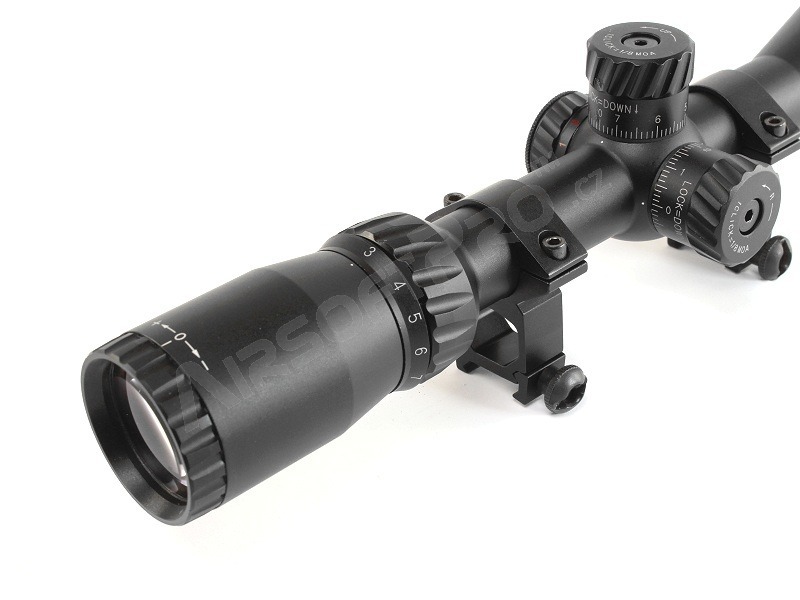 Due to cross lighting (red, green or blue) the scope can be successfully used for both day and night operations. 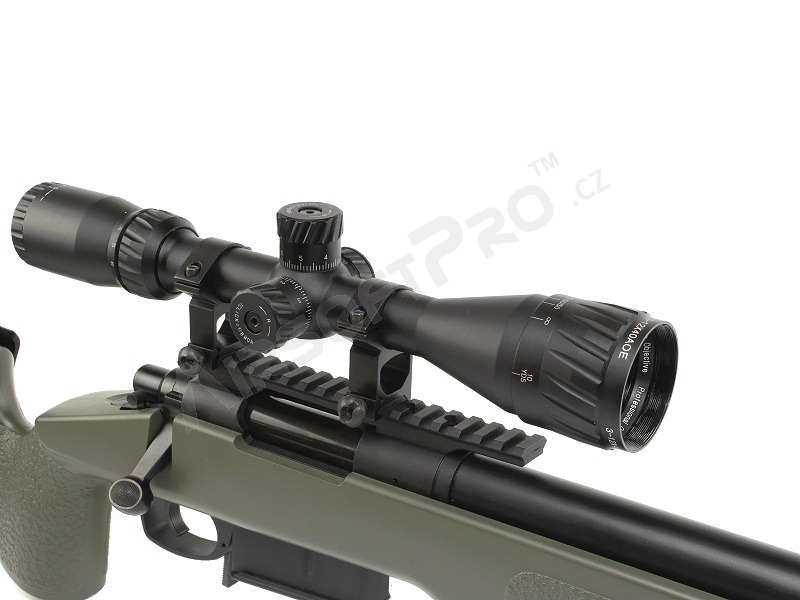 Powered by a CR2032 battery (included in the set). 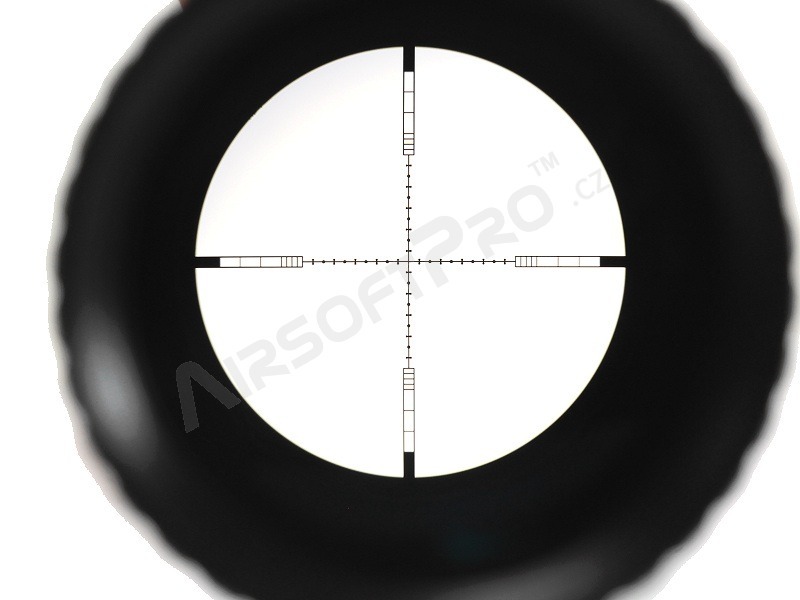 The aiming cross can be smoothly regulated horizontally and vertically. 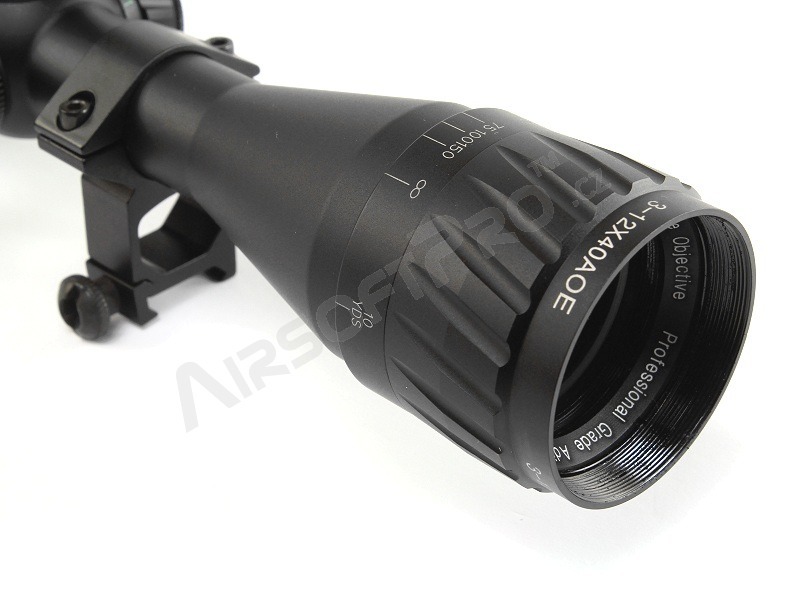 The product is mounted on a standard 22mm RIS rail.